A lots of reported sightings of UFOs lately are of them imitating clouds or becoming transparent.Seems they are the masters of stealth and I suspect there would be many more reported sightings worldwide but people fail to see them while their in stealth mode.Interesting that ex cosmonauts and astronauts like Buzz Aldrin have come forward and announced that we are not alone in the universe but governments worldwide still say they don't exist. Agree with what you say, Lozza. You can add Edgar Mitchell, the sixth man to walk on the moon, to that list of astronauts who publicly state ET is real. He is probably the most outspoken of them all. 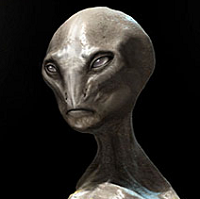 Our visitors from other star systems may be hundreds, thousands or even millions of years more advanced than us. 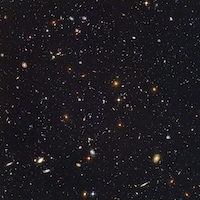 Not at all hard to imagine as we live in a universe said to be around 14 billion years old! Even a million years is insignificant in universal time scales. Read an article in Science Daily that scientists can already make objects appear invisible through distortions of light so cloaking would be easy for ET.They obviously go to lengths to remain hidden by cloaking or sometimes they are seen coming from the ocean which gives them plenty of area to hide.There is evidence emerging from archeological digs from all over the world unearthing bits of machined metallic objects that are composed of almost 100 percent purity embedded in rock that was dated 3 million years old maybe ET has been visiting earth for eons. They obviously go to lengths to remain hidden by cloaking or sometimes they are seen coming from the ocean which gives them plenty of area to hide. I recall having lunch with a group of people including an American workmate named Steve who was working in TV Publicity after a stint in the US Navy. We were talking about the mysterious disappearance of Frederick Valentich in his light aircraft over Bass Straight in October ’78. It was big news at the time and made quite a talking point. Steve then described an experience of his own. While at sea in the Pacific Ocean, he watched a very large round luminous green object pass directly under his navy destroyer. All the ship’s crew including the Captain watched in amazement. He said the USO (unidentified submarine object) did not show up on the ship’s sonar. No one had any idea of what it could have been. Yep… Yowies are a really interesting subject but genuine sightings are few and far between. On the other hand, UFO reports are much more common with major organizations like MUFON receiving 500 to 1000 reports every month. Since 2006, MUFON have gathered evidence of over 70,000 UFO sightings! Lozza… have you personally had any sightings of these craft? To answer your question I haven't personally seen any but when I was young my family owned a motel so we met people that told us all sorts of interesting stories.One man who used to drive long distance from east to west coast across the Nullabor was followed for miles by a huge green light flying above his truck.He said it bathed the cab green and he also lost two hours of time. After years later hearing about the Knowles case I was struck by the similarities.During the 1970s lights were seen up and down the Mid North coast by hundreds of people for a fortnight.We were actually told more stories about yowie sightings than UFOs,probably because most people went camping for holidays back then so there were more encounters. That Nullabor experience you detailed sounds like a typical abduction case. The green light thing is eerily similar to the aforementioned Valentich case. The pilot described the green light orbiting above him to the control tower before all communications abruptly ceased. It is the only time a pilot has been in contact with air traffic control as he disappeared from the sky. Whenever possible, I’ve always kept an eye on the sky and have managed two impressive sightings. The first was a rare ‘black box’ that was hovering in daylight near the Melbourne CBD around 2001’s. I could clearly see it from my backyard. As you would, I raced inside to grab binoculars and a camera. I was only gone a moment but unfortunately a large cloud was now covering the spot where the object was. Very disappointing! I have read where singer Robbie Williams has also reported seeing a black box in the sky. My second sighting was in Queensland during the early 2011 flood crisis. I was standing in a motel courtyard in Dalby and noticed two oval shaped orange lights flying in staggered formation across the sky. They were moving at a speed you would associate with an F18 and were completely silent. They were in sight for around 4 to 5 seconds. The person I was standing next to also caught a glimpse of them. The lights would have been similar in size to a 5 cent piece held at arm’s length. Orange lights are among the most common UFO reports. Have any other AYR forum members seen anything in the sky that could not be readily identified? Or maybe even close encounters of the third kind...although I hope not! Searcher wrote: Have any other AYR forum members seen anything in the sky that could not be readily identified? Or maybe even close encounters of the third kind...although I hope not! I've been having frequent sightings of the same object for the past year and I would even go as far as saying that I am getting a response from it using very basic light stimulation. There are no objects (satellites) or aircraft in the night sky before I begin a sequence identifying myself and it has responded by illuminating itself with a bright artificial light. I wait several seconds and re-sequence...it then responds again by illuminating itself in a stationary position. I choose a star to sequence towards and it appears next to that star, it's always random and at different times of night in different areas. I've also had flybys, day time sightings (sunrise) and displays of great speed...amongst other things. At times I find the object to be quite playful and not concerned with appearing at busy areas where many others would no doubt view it. I believe it to be friendly. If anyone has any ideas on what to try next, I'd enjoy hearing it. You are certainly having some unusual experiences! A suggestion on what to try next would be to follow Dr Steven Greer’s CE-5 contact protocols as documented in the Disclosure Project. As you are probably aware, the Disclosure Project brought together dozens of high ranking military, government and intelligence insiders who testified as to the reality of UFOs in an address to the National Press Club in Washington back in 2001. Dr Greer’s disclosure information has gone ahead big time since then with many more witnesses coming forward prepared to testify under oath to the US Congress. There are now iPhone or Android CE-5 apps that offer full training programs on what to look for and how to make contact with ET. Just Google if you are interested. I was skeptical at first, but there now seems to be lots of good evidence that it actually works. Nothing ventured, nothing gained!